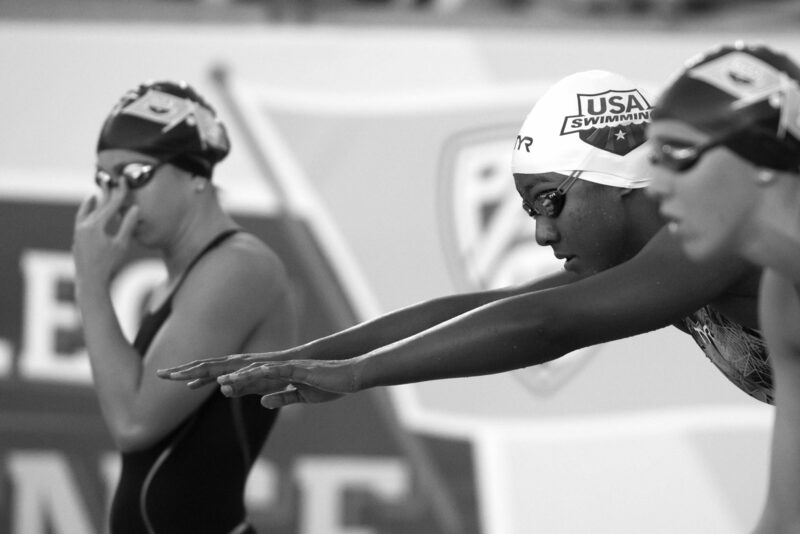 The second-ever USA Swimming College Challenge kicks off tonight in Los Angeles, CA. This unique event features some of the top USA National Team swimmers, including professionals and high schoolers against the top stars from the Pac-12 Conference. Out of lane 8, USC’s Louise Hansson took the win in 47.57 — her first 100 free of the year. After taking out the first 50 1-2, Lia Neal and Abbey Weitzeil came in 2nd and 3rd in 48.03 and 48.04, respectively. Lucie Nordmann followed in 48.35, then Amanda Kendall in 48.51, Robin Neumann in 49.38, and Katrina Konopka in 49.45. Best of luck Lia! We will miss seeing you the Stanford team this year. But we know you are always a big part of the team no matter where you will be. Lia is wonderful. Rooting for her– the US needs a 52 mid or high split from her on that relay in Tokyo. With the four of them at their best, the ideal team would be Comerford, Weitzeil, Neal, Manuel (in that order).